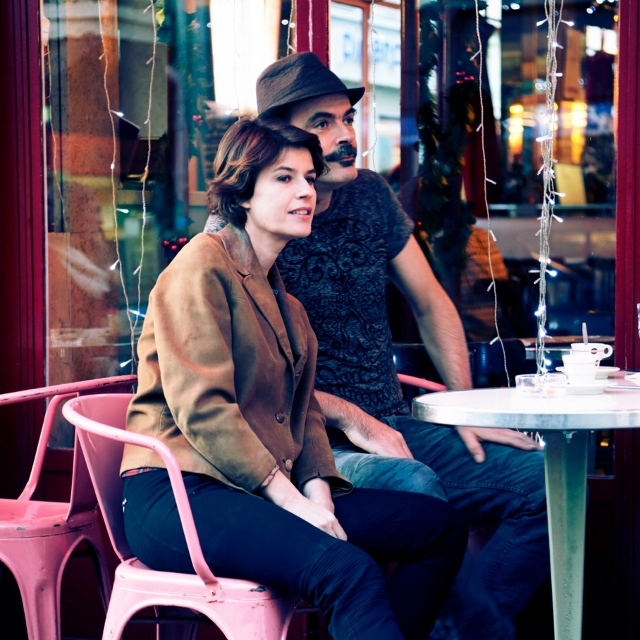 When she is not busy being featured in the Showtime series The Affair or earning top honors at Cannes for her role in La Double Vie de Véronique, Irène Jacob loves to sing. And when she sings, it’s with her brother, Francis, and his band. Join us for an evening of jazzed up chansons françaises with a true French star…. VIP tickets include a meet and greet before the show with les Jacob, preferred seating and a signed copy of just released En bas de chez moi. VIP tickets include a meet and greet before the show with les Jacob; preferred seating; and a signed copy of just released En bas de chez moi. Please show your card at door.